Take the hassle out of your next woodworking project with Somerset Millwork And Cabinet Makers, Inc. At our company, we go above and beyond to provide every client with truly unique work that will last for years to come. 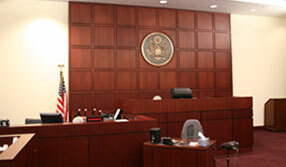 And with extensive cabinetry experience, our crew can handle even the most complex projects. Contact us today to schedule an appointment. 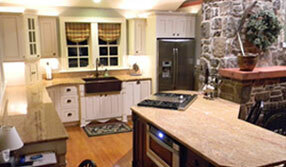 Somerset Millwork And Cabinet Makers, Inc. was founded in 2004 by a seasoned woodworker. 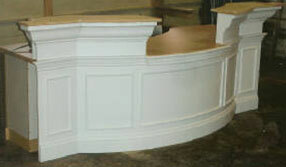 Since that time, we've offered custom woodworking services to folks in the Pittsburgh area and beyond. Located in Somerset, Pennsylvania, and serving the southern East Coast, our company offers top-quality craftsmanship combined with competitive pricing and design services to deliver attractive, sturdy pieces for your home or business. From kitchen counters to office furnishings, we're more than happy to build that perfect addition for you. Our company offers a wide variety of customizable cabinetry and construction services that will leave your home or business looking its best. Whether you're looking for one-of-a-kind countertops or full-scale project management, we have you covered. When you choose Somerset Millwork And Cabinet Makers, Inc., you work one-on-one with owner and operator Jason Breegle to take on your project the way you see fit. No matter what your job entails, we're here to help. We promise to deliver the best possible design work and craftsmanship on each and every job, regardless of size. Use the form below to request an estimate. Someone from our office will get back to you by phone or email as soon as possible. There is no obligation. Remember, the more information we have about the job, the better an estimate we can calculate, so include details. Be sure to select the size and numbers of items to be installed or replaced. 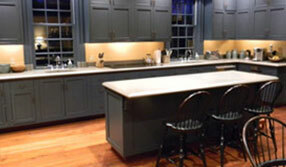 Monday - Friday: 6:00 a.m. to 4:30 p.m.
Somerset Millwork And Cabinet Makers, Inc.